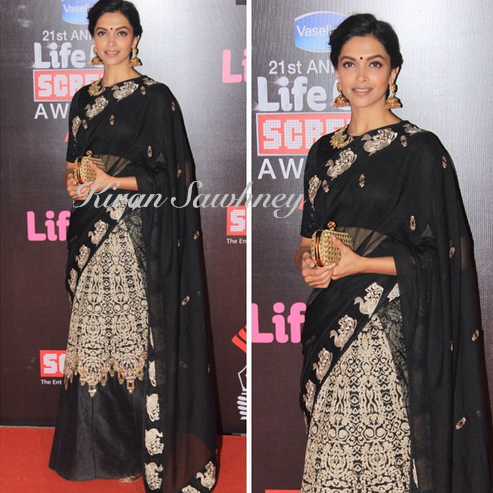 Deepika gave us an Indian traditional look at the red carpet. We are generally used to seeing her in gowns. At first glance the look seemed ordinary but as we absorbed the look, we started loving it. 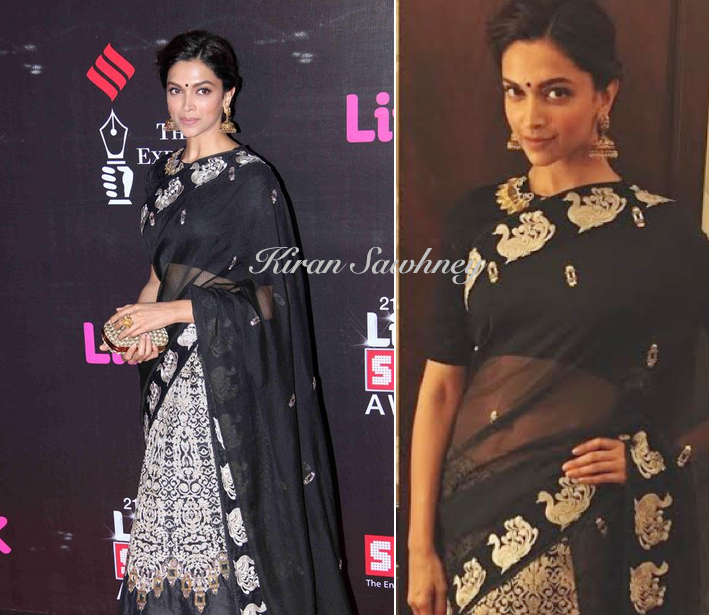 The actress wore a monochrome embroidered saru from Jade by Monica and Karishma. She teamed it with Jhumkas from Amrapali and a gold Bottega Veneta clutch. She completed the look with her hair tied in a bun and a small black bindi.